JCF Healthcare District is now offering specialty services through the use of live interactive video connection. Our new telehealth program will expand our patient services by providing specialty consultations with patients otherwise not available in our area. No more traveling hours out of your way and missing a whole day of work to get the health services you need! Telemedicine complies with all HIPAA laws to ensure patient documents are secure. Will a telehealth visit be as effective as an in-person one? Yes, telehealth visits have proven to be equally as effective as in-person visits. In fact, telehealth actually improves outcomes by making it easier for patients to comply with follow-up recommendations and aftercare. Yes. We've carefully chosen a telehealth system that safeguards your personal information and meets the tough HIPAA regulations for data transmission and storage. 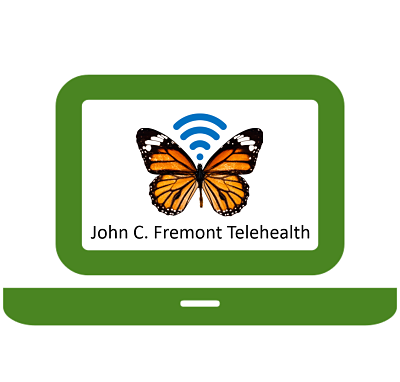 Telemedicine appointments are typically covered by your regular health insurance. That means that you will be charged the same co-pay as an in-person visit. If you don't have insurance, contact us about a self-pay option.